Maria Shireen says their new b+sweet line of hair tie bracelets are the perfect fashion summer accessory for your little fashionista! 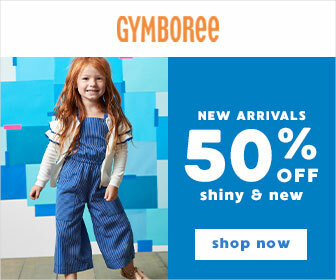 While their flagship product - bittersweet by Maria Shireen - is designed for sophisticated women on the go; the b+sweet by Maria Shireen collection features two distinct lines and is designed for kids and teens. 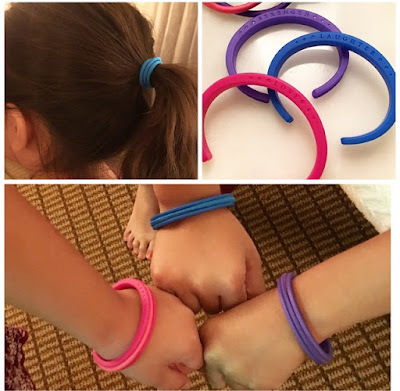 I received a pack of 3 b+sweet hair tie bracelets for kids to review. The kids bracelets are recommended for kids ages 5-10 with a wrist circumference up to 5.5 inches. The convenient hair tie bracelets can fit both thin and thick hair tie elastics and are made of BPA free plastic. The bracelets also have words of inspiration imprinted on them: Love, Laughter, and Strength. The hair tie bracelets are a genius way of keeping a hair tie handy while also being comfortable to wear. Say goodbye to lost hair ties and indentations on wrists!